April 19, 2014 August 27, 2014 OpenCaching North America cachegeek.com, Geocaching Social Media, Oh Beep! In December 2013 CacheGeek.com was launched, providing a very comprehensive resource for Geocachers. The site is already packed full of information, but there is still more to come. Beth, the creator of CacheGeek, speaks here about the reasons for the sites creation and plans for its future. What is the main purpose of CacheGeek.com? The main purpose for CacheGeek.com is to provide useful and interesting information as well as fun activities for geocachers, whether complete newbies or experienced cachers. I hope that my site will either inspire people to take up the hobby, or encourage them to contribute even more to the caching community. The site, on launch, is very comprehensive. Is there anything you still have to add to it? I have several more ideas for pages, for example I am yet to add a guide for Android geocaching apps, and I also thought that it would be fun to have a ‘Geocaching Records’ page, displaying the most favourited, found, DNF’d and oldest caches. I’m still thinking up new ideas though, and any suggestions are very much welcome! What was your inspiration for creating CacheGeek? A couple of months ago, I came across a puzzle cache of the sort i had never seen before. It turned out to be an example of Hidato, a mathematical logic puzzle grid. Anyway, at the time i searched around the internet, desperately trying to find the name of the puzzle so I could find out how to solve it. I eventually found it after much searching. 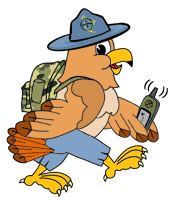 Then I thought, ‘wouldn’t it be amazing to have a geocaching resource page that shows you all the types of puzzles you can have and how to go about solving them’? So from then on, I kept on thinking up other ideas that would be useful to the geocaching community, and the whole idea of CacheGeek grew! It’s not all about the numbers, but as a Geocacher I’m interested to know your geocaching stats? I have currently been caching for over 5 years and am approaching my 5000 milestone. I have finished my Difficulty/Terrain Grid, and am very close to completing my caching calendar – I just need that pesky 29th of February! CacheGeek covers the many aspects of Geocaching, which is your favourite? The find, the hide, the events etc? Goodness, that’s such a hard question; I love all of them! What makes geocaching so unique is not only can it be an individual hobby, it also involves a large social aspect with an ever growing community. My personal favourite has to be hiding my own caches and making them as creative and unique as possible. I love reading my emails and seeing how other people have enjoyed experiencing my caches, hopefully encouraging them to make entertaining ones themselves. The on site treasure hunt is a great idea, do you have any plans for other things like that? Thank you very much! I did think long and hard about how to make my site more interactive, and the only idea I came up with at the time was the treasure hunt you can currently see on the site. I did wonder about placing a virtual munzee somewhere on the site too. Even though munzee is completely separate to Geocaching, I’m aware that many members of the geocaching community also participate in that activity, so I thought that could be something I introduce later on. Again, I’m open to any suggestions anyone has! If people were to visit the area you mainly cache in, what caches would you recommend they try? What’s your funniest geocaching story? Once I was searching for a low rating geocache not too far from my home. I’d spent a good 15 minutes searching, and had just about given up thinking the cache must have been muggled. Just then, a woman came up to me and asked me what on earth I was doing, prodding around in the bushes. Woops! Clearly hadn’t been as discrete as I thought! Anyway, I explained the concept of geocaching to her, and then she eagerly asked if she could help with the hunt. I was just about to say that I didn’t think it was worth it as it probably wasn’t there, when all of a sudden she reached down into a nearby bush, pulled out a tupperware box and asked me if that was it! Embarrassed, I congratulated her on her first find! What a fool I was to miss that! Are you a GPSr or smartphone cacher? I was a smartphone cacher for a long time, using my iPhone 4 to find geocaches. This worked well, though It did take time to load the caches, especially when I had large pocket queries. It also ran out of juice fast, which wasn’t ideal for long hikes. I now have invested in a Garmin eTrex30 which caters brilliantly for my needs. What’s the one piece of equipment you always have with you when you’re out caching, other than your GPSr/smartphone? Tweezers! Although many people say it, I would highly reinforce this very affordable tool as an essential piece of your geogear. Whether trying to claw out tiny logs in micro caches, or retrieving damp and soggy ones from any size, tweezers are just the item needed! They’ve certainly saved me lots of time, and made caching trips more enjoyable. What one tip would you give to fellow geocachers? I give this tip on CacheGeek.com, but I think it’s a brilliant idea to somehow keep a personal record of all your caching adventures. You can use anything from a journal, a photo album, or perhaps for the more creative, a scrapbook. That way, you can flick through it and remember all the great times you’ve had out on the hunt.